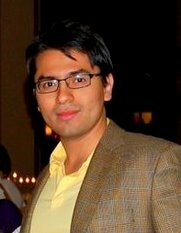 Juan Camilo joined BLAM Lab in July 2016 after completing his postdoctoral training at the Motor Performance Lab at Columbia University. At Columbia University, Juan Camilo was in charge of the clinical training for the outcome assessments of our ongoing clinical trial on potentiating motor recovery after stroke with intensive therapy. Prior to this experience, he was conducting research in the natural history of motor recovery after stroke and researching the motor control abnormalities in Parkinson’s and Huntington’s. At this same institution, he volunteered for over 5 years at the New York Brain Bank, exploring the neuropathology of movement disorders. Juan Camilo completed his medical training at the Industrial University of Santander and at the University Hospital of Santander, both institutions located in his hometown of Bucaramanga, Colombia. In his free time, Juan Camilo enjoys salsa dancing, playing soccer and tennis, and elucidating the sartorial basis of ballroom etiquette.